This guide will help you install SJ Minicart Pro for Virtuemart step by step. 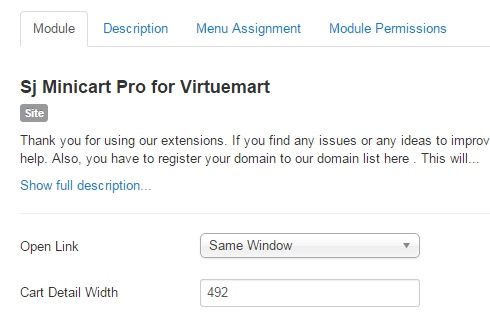 After installing, go to Extensions -> Module Manager and find SJ Minicart Pro for Virtuemart to configure. Cart Detail Width – Allow you to change width of the Cart Detail area. Product List Display – Allow you to choose if Cart Detail shown OR not when hovered (recommend Yes). Product List Max Height – You can set the height of product list area here; higher is useful when customer selects many products into the cart. Product Label Display – Allow you to show the title of each product OR not. 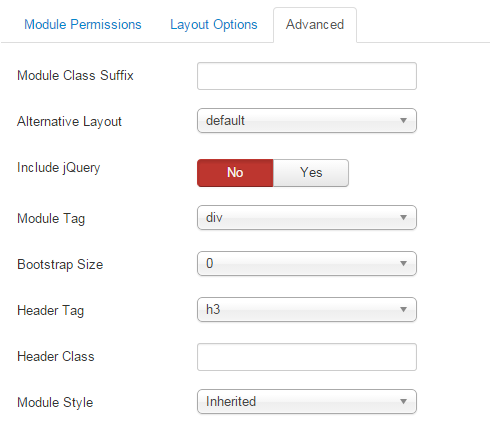 Product Attribute Display – Allow you to show attribute of each product OR not. 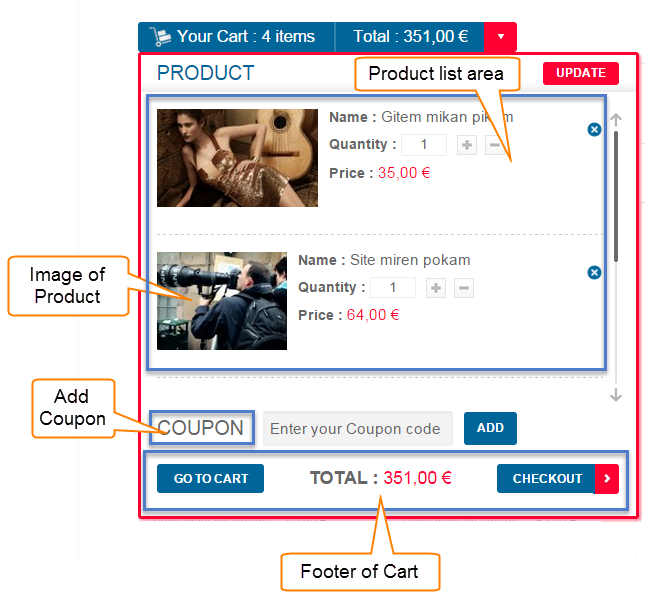 Coupon Form Display – Allow you to show coupon form OR not. Coupon Label Display – Allow to to show the label of coupon form OR not (the ‘COUPON’ text). Go To Cart Display – Allow you to show Go To Cart button OR not. Check Out Display – Allow you to show Checkout button OR not. Total Price Display – Allow you to show Total Price information OR not. Image Width – Allow you to set the width of image of each product listed in Cart Detail. Image Height – Allow you to set the height of image of each product listed in Cart Detail.